State Rep. Terri Bryant (R-Murphysboro) and SIU President Randy Dunn in a file photo. The House lawmaker who represents SIU–Carbondale is calling for SIU System President Randy Dunn to resign immediately. State Representative Terri Bryant made her statement on the House floor Thursday in response to an op–ed in the Southern Illinoisan by SIU–C Faculty Senate Budget Committee co–chair Kathleen Chwalisz. Chwalisz says budget–related documents acquired through the Freedom of Information Act show Dunn actively concealed from SIU–C Chancellor Carlo Montemagno his plan to transfer 5–million dollars from the Carbondale to Edwardsville campus. Bryant says this goes against everything SIU needs right now. "Now is the time that everything we say and everything we should be doing should be done in a positive way to build up the university to make it stronger, to grow it. Instead, behind the scenes we've clearly had the University president - who should be working towards that end - actually working for the demise of the Carbondale campus." Representative Chad Hays, an SIU-C alum, echoed Bryant's outrage. "I join Rep. Bryant in asking for his resignation, and on behalf of all Salukis, you go to hell, sir." It's reported Montemagno was never briefed on the reallocation proposal, becoming aware of it with the general public when the April Board of Trustees agenda was posted online on March 30. In the meantime, Edwardsville leaders, legislators and the local media were all clued in to at least some aspects of the scheme before the Carbondale chancellor. In a written release, SIU President Randy Dunn says the op-ed piece is misleading and it intentionally misrepresents the situation. One of the emails released indicated Dunn referred to shutting up the "bitchers from Carbondale" who opposed the 5-million dollar fund shift proposal. Dunn says he apologizes for using that phrase. As far as the claim Dunn kept Montemagno in the dark about the plan, the SIU President says that's not true because this issue was discussed on a conference call three weeks before the April board meeting. Although Montemagno was not on the call, Dunn says members of his staff were. Dunn also takes exception by the op-ed's claim he has contempt for the Carbondale campus and community. Dunn says he worked at SIU-C and he and his wife own a home in the community. Dunn says it's important to remember the op-ed was written from the perspective of a Carbondale campus member. Carbondale chancellor Carlo Montemagno issued a statement saying he is "dismayed and disappointed" by Dunn's efforts to "undermine... the SIU system." 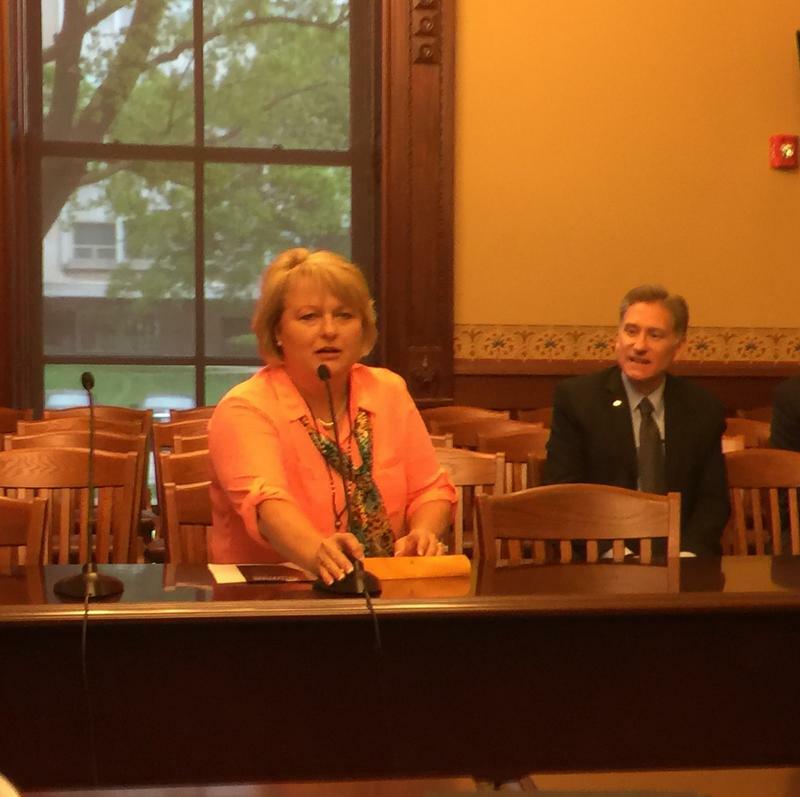 Legislation to split the system remains in the Illinois House. Representative Bryant says the bills' futures are in the hands of the sponsors. "They're at 3rd reading. So, on any given day, the sponsors of those bills could call them." Bryant says she is against splitting up the SIU system.